Robin’s passion for yoga began in 2005, practicing and studying with Juris Zinbergs (Viniyoga) in California. 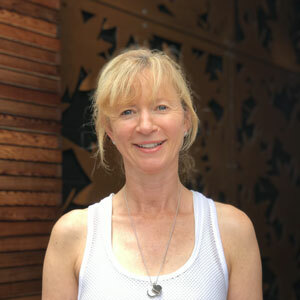 Subsequently, Robin has studied at Wellpark College in Auckland, with Vincent Bolletta and most recently completed the Contemporary Yoga Centre’s 200 hour training program. Robin has a particular interest in yoga for optimal mind health which guide her ongoing explorations. Robin has been teaching since 2007. Her inquiry based approach encourages yoga from the ‘inside-out’. Classes with Robin are a nurturing combination of mindful breath and movement followed by deep, guided relaxation and renewal.